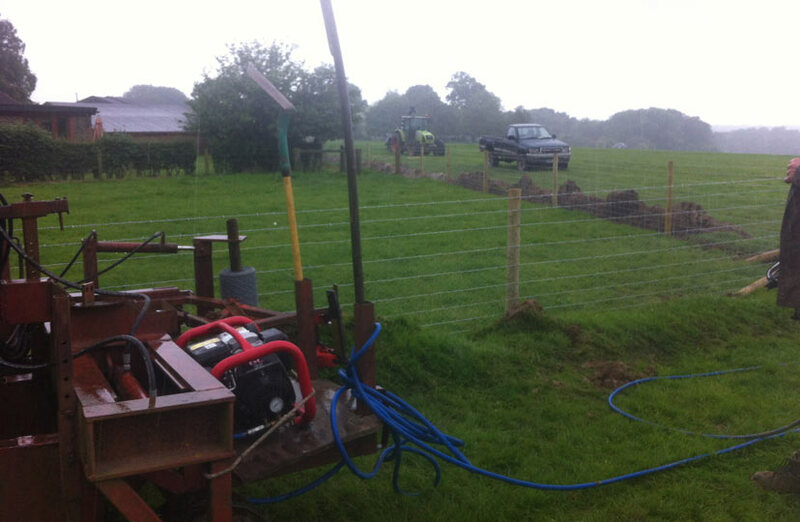 We provide a complete supply and erection service. 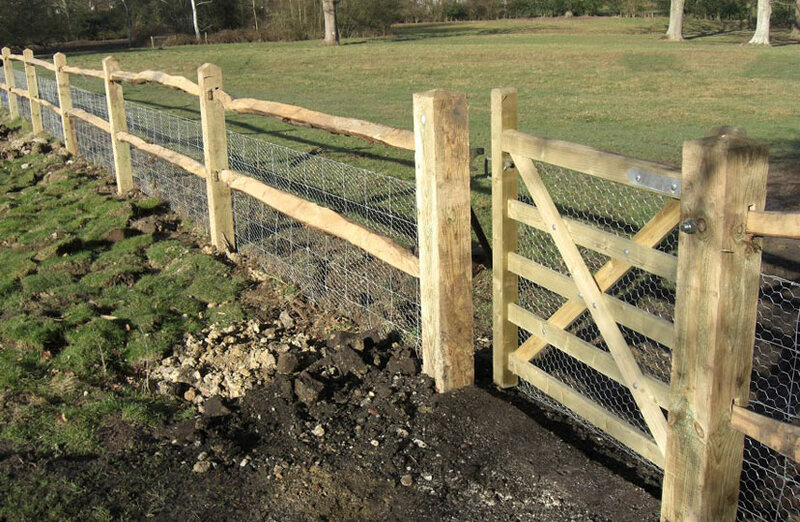 We’re just as happy to build fences using your materials. 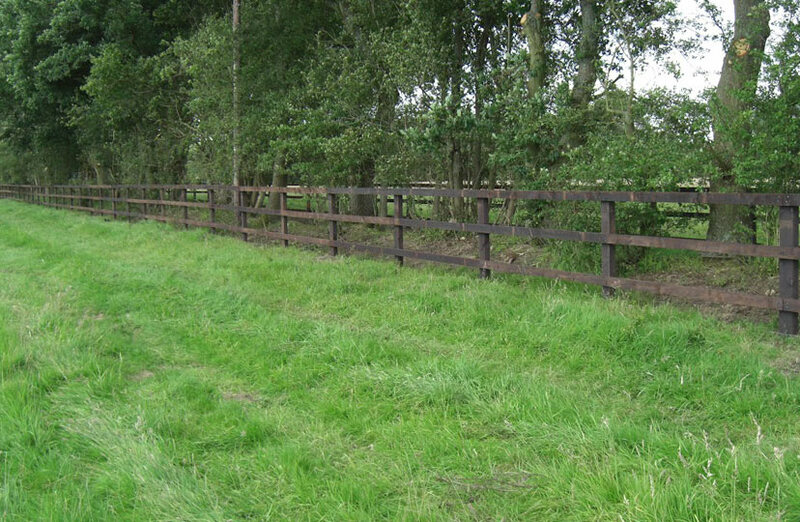 Provided you have posts, wire and rails of the required specification and quality. 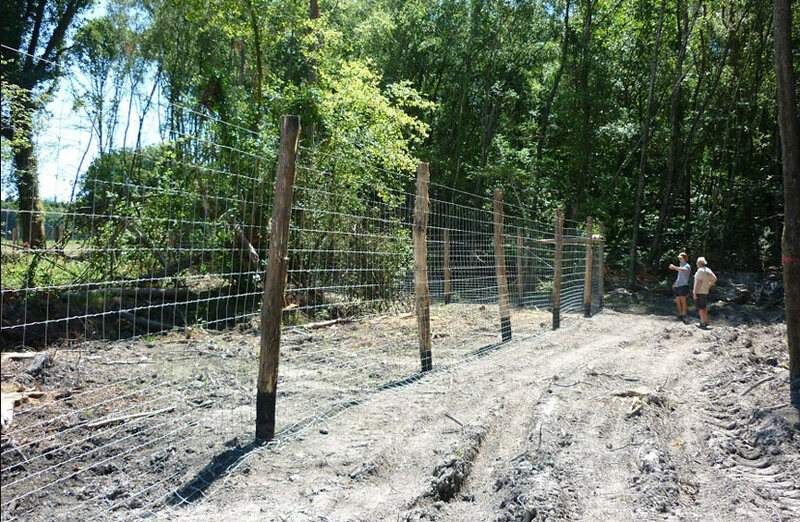 Stock fencing forms the core of our business so we understand that good fencing is a big investment for farmers and landowners and that it should form an effective barrier for a variety of different stock for the longest possible time, enabling control of grazing and optimizing efficiency and profit. 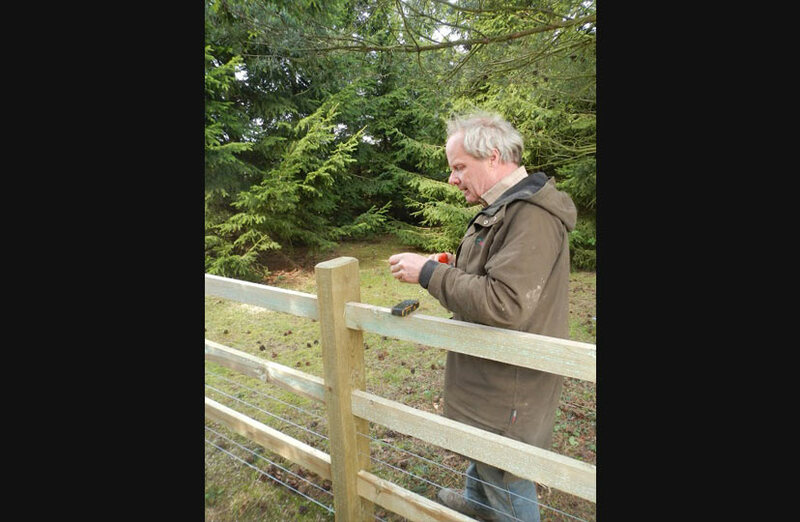 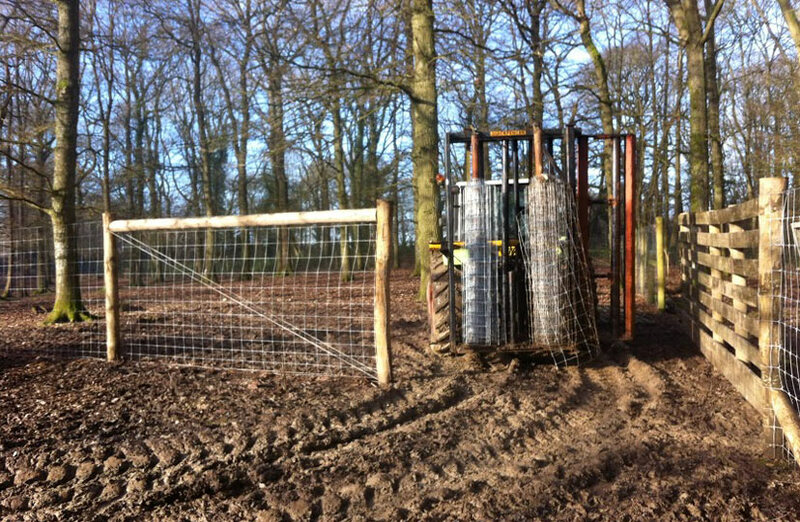 With this in mind our fences are made using Tornado high tensile wire, hazard class 4 treated soft wood or locally coppiced chestnut posts. 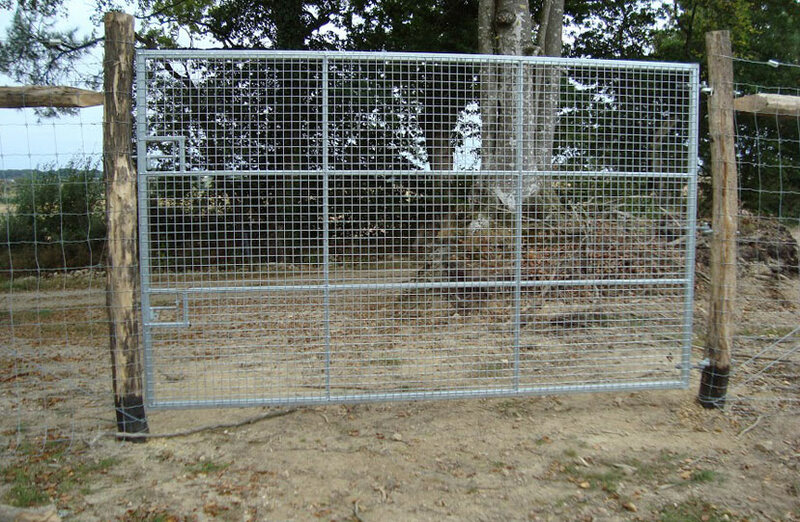 Using plain or barbed wire and a variety of different types of netting these fences can be tailored to your specifications and requirements. 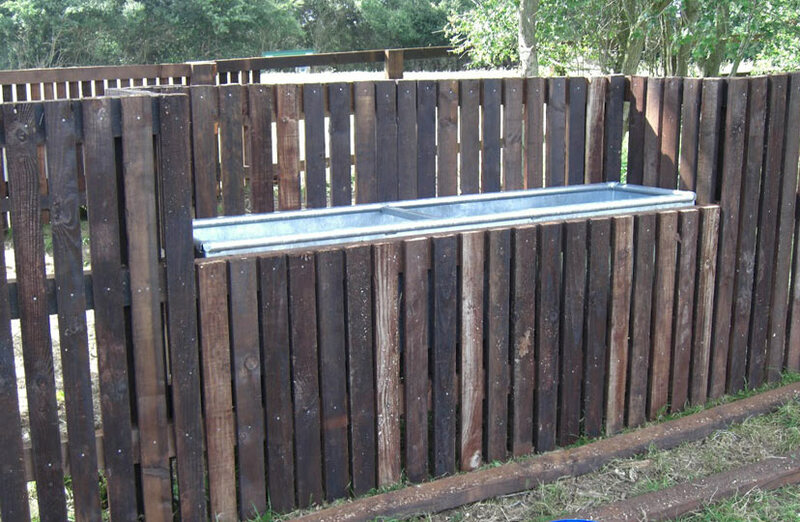 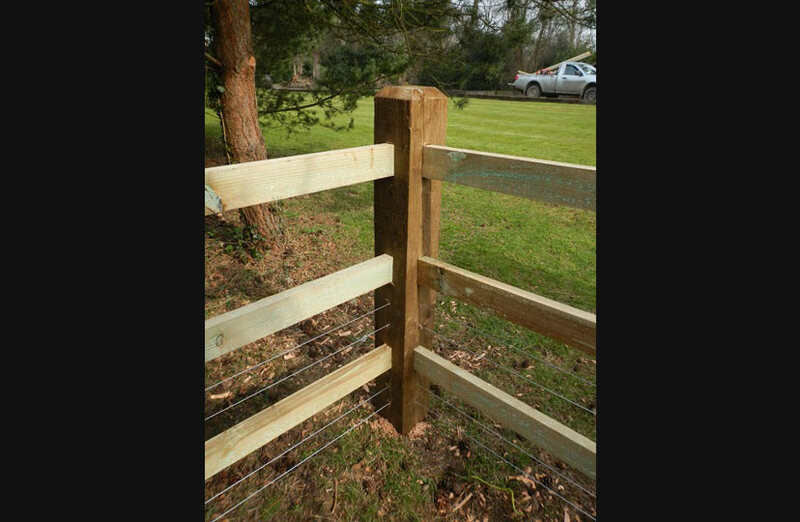 Post and rail comes in many different styles and specifications depending on the purpose and budget of the fence. 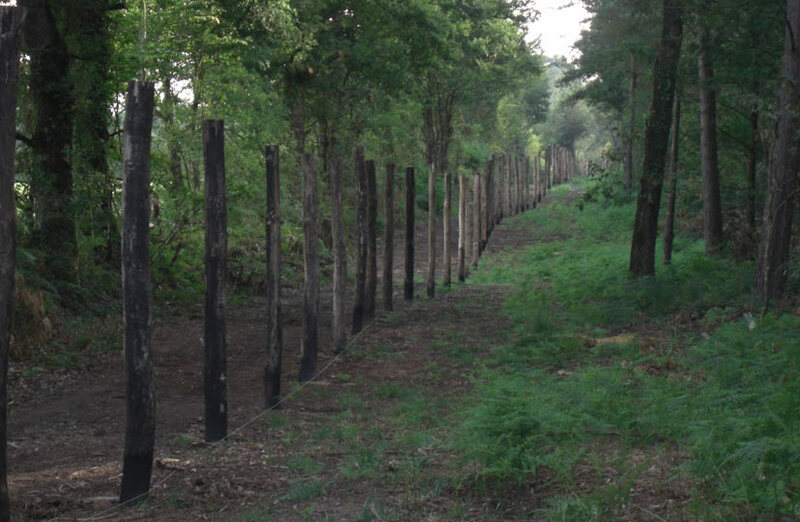 This style of fencing fits in with the natural landscape. 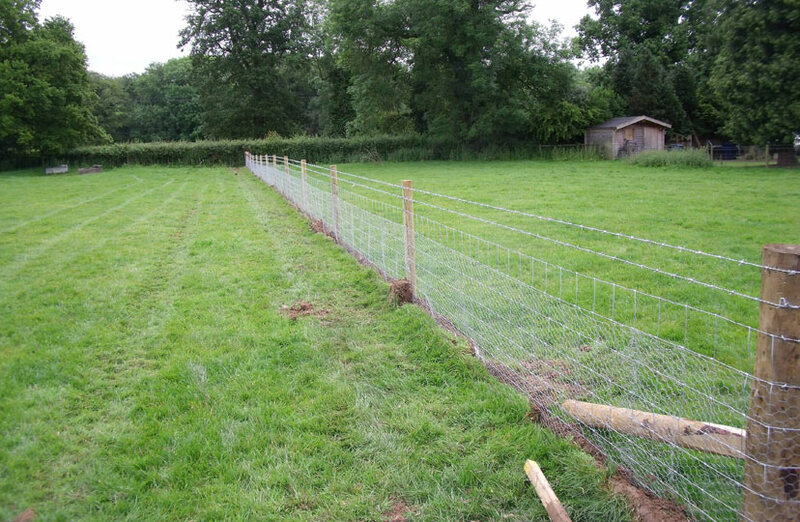 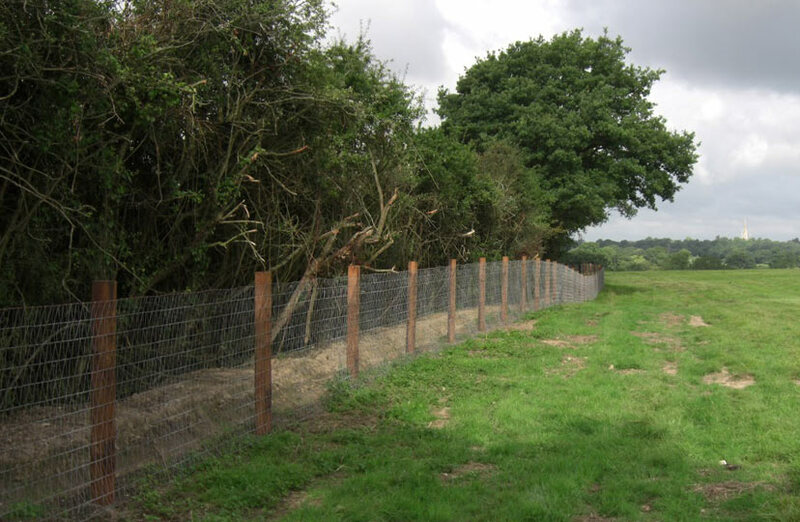 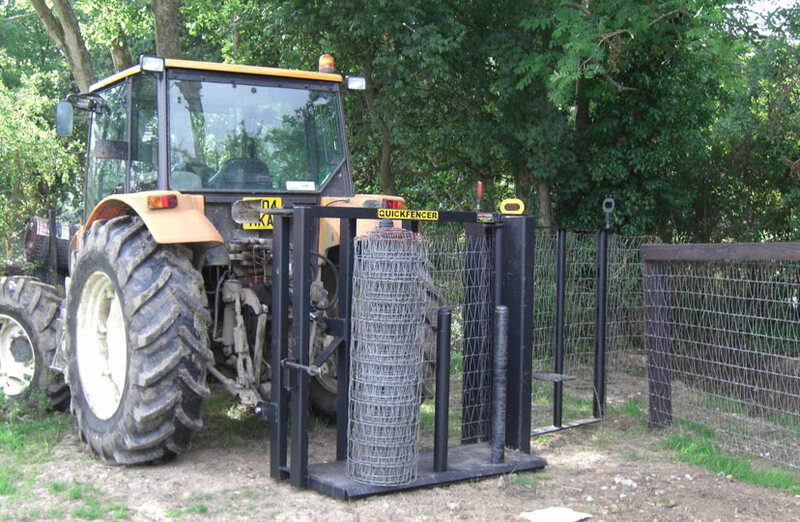 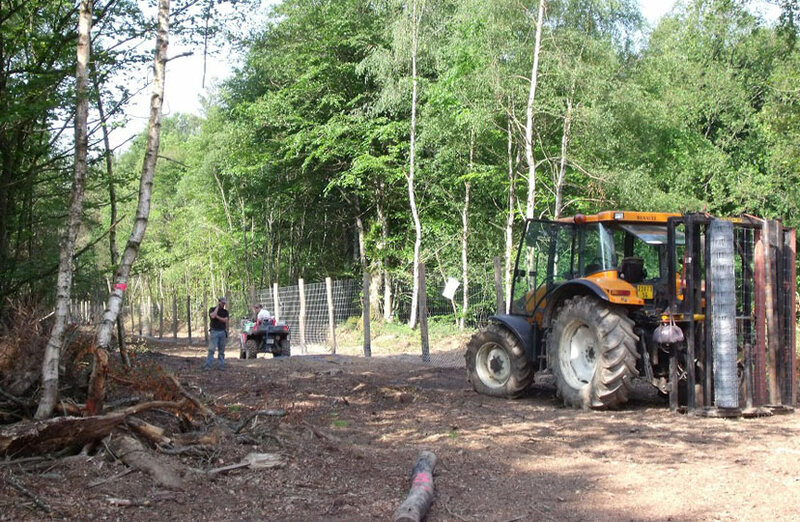 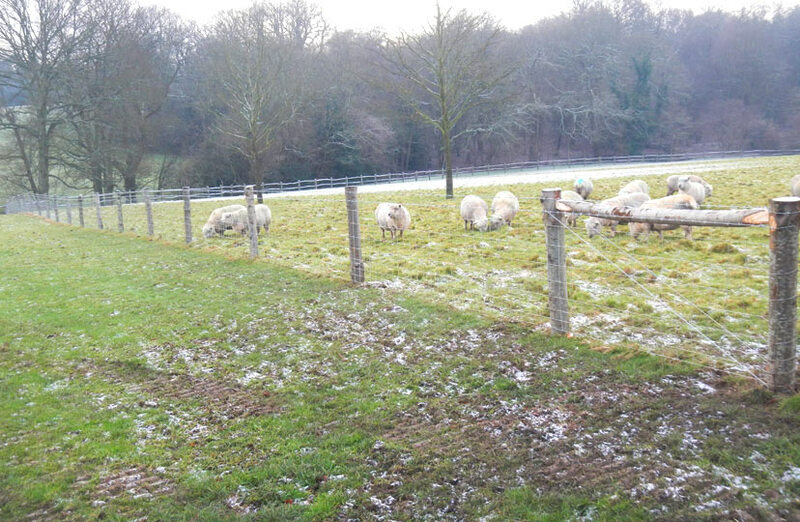 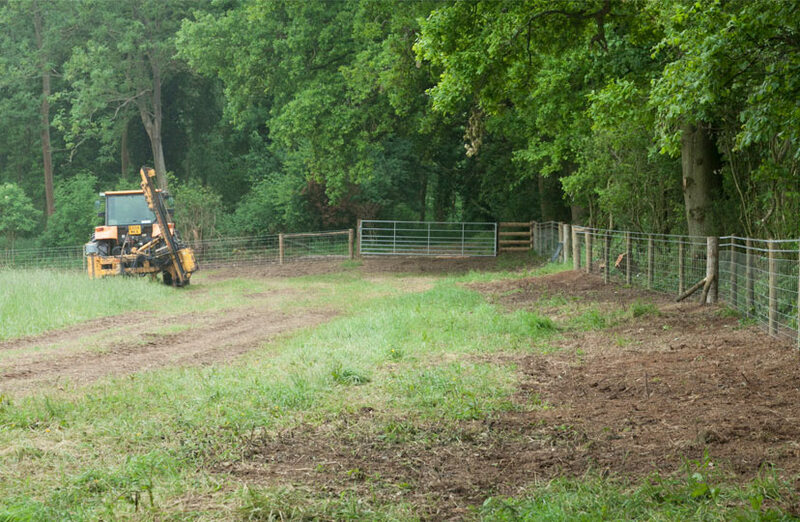 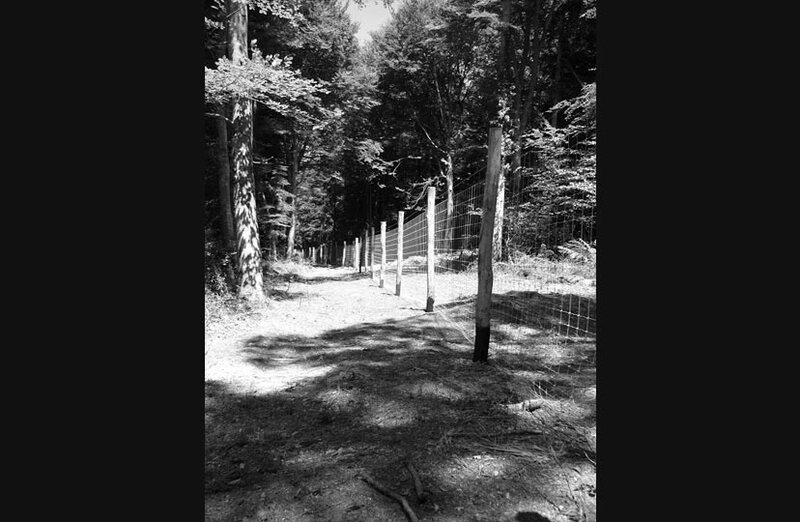 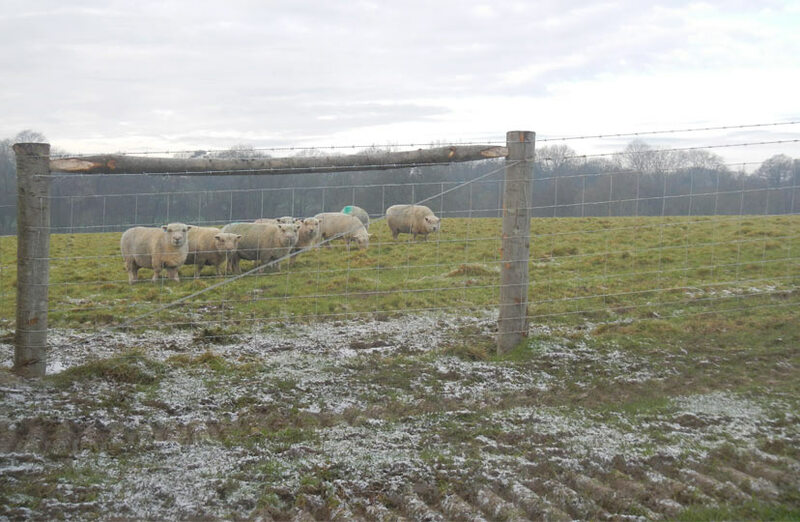 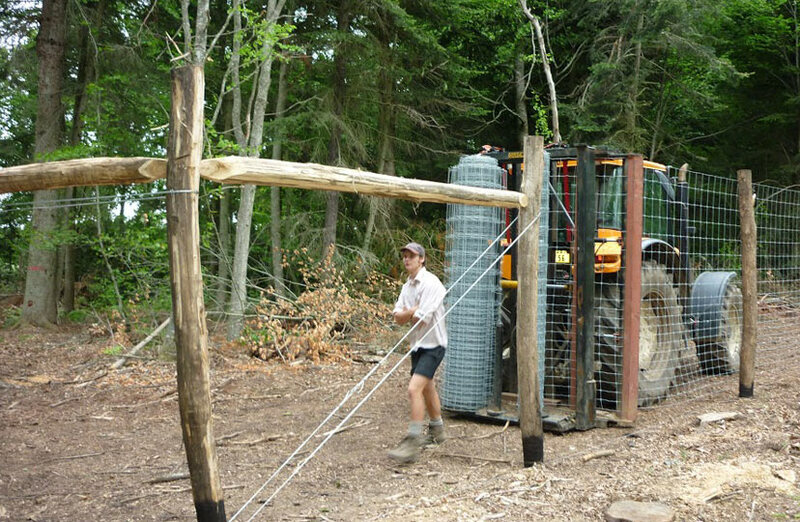 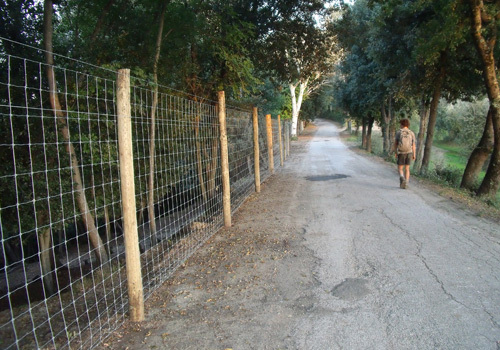 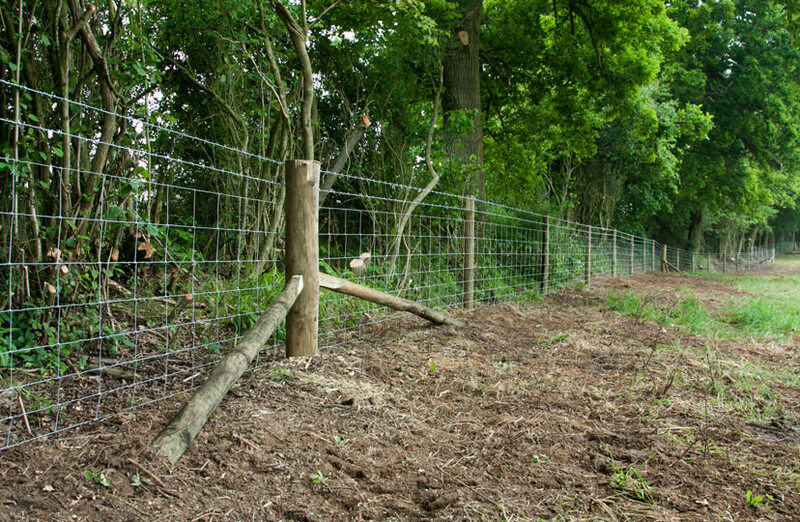 We erect fences for the containment of farmed deer in parks or commercial farms, the exclusion of wild deer from domestic gardens, agricultural crops and forestry plantations. 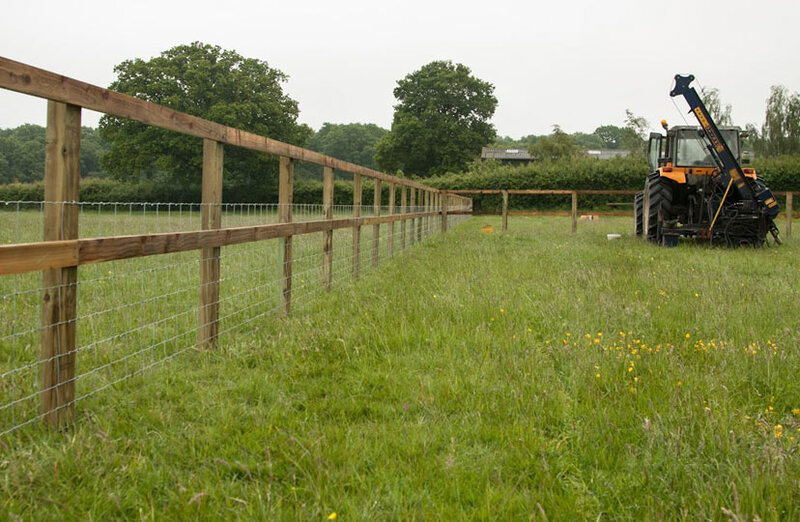 We have been building fences for Red Deer farms since the early 1980’s. 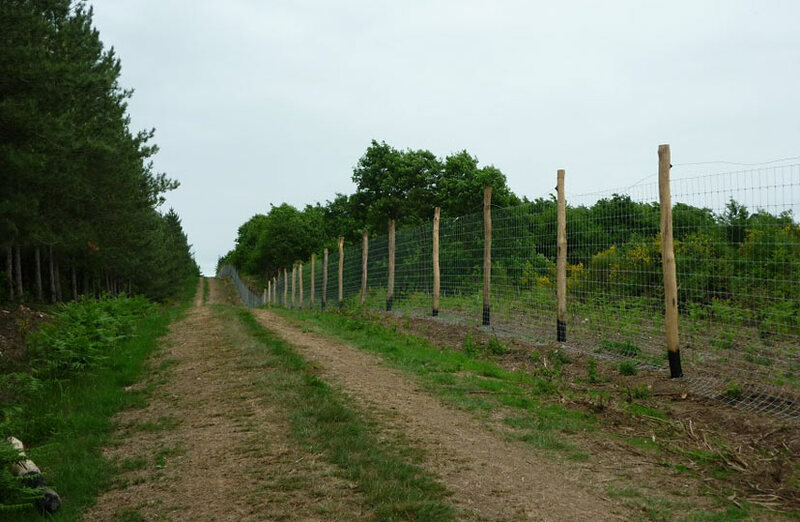 Deer populations are a growing problem in the UK and as a consequence there is a growing demand for a solid barrier that will exclude wild deer. 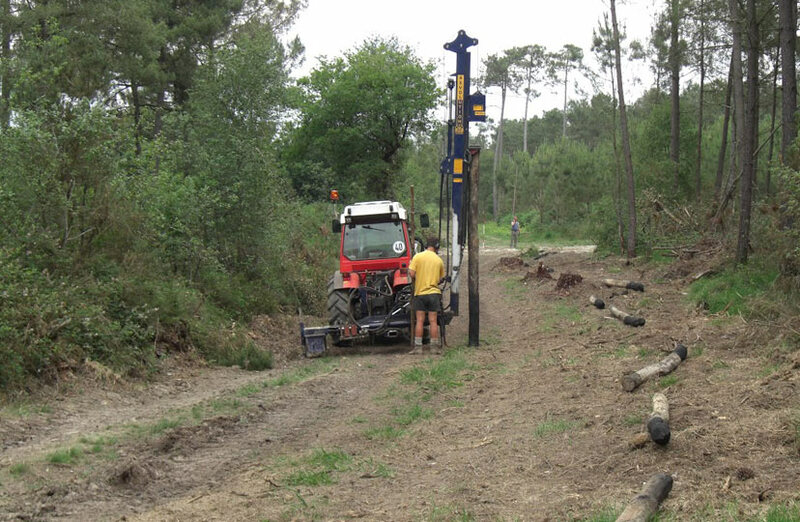 From private gardens to National Trust properties and forestry in France, the demand continues to increase. 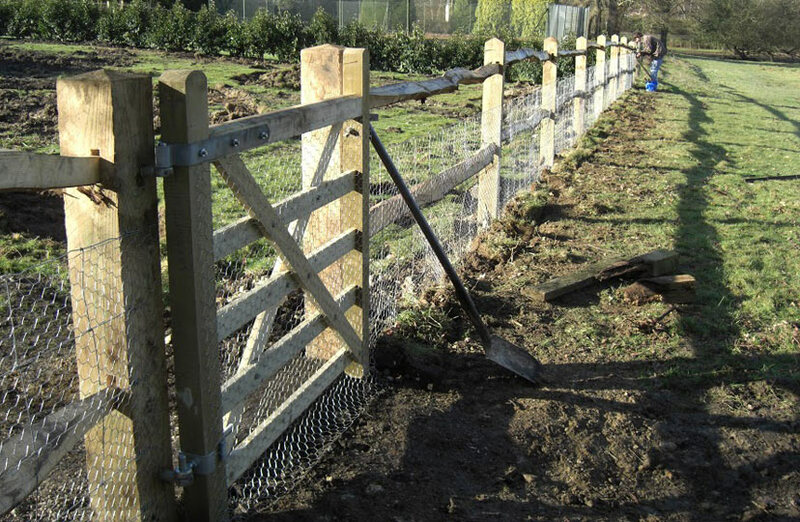 The use of rabbit fencing is a way of protecting agricultural crops, domestic gardens and horticulture from the damage caused by these pests. 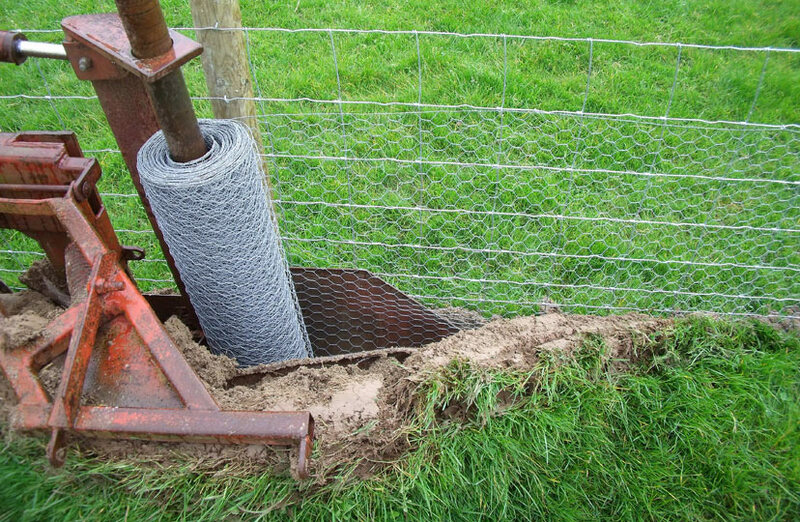 The netting is buried to approximately 30cm deep to prevent animals from burrowing underneath. 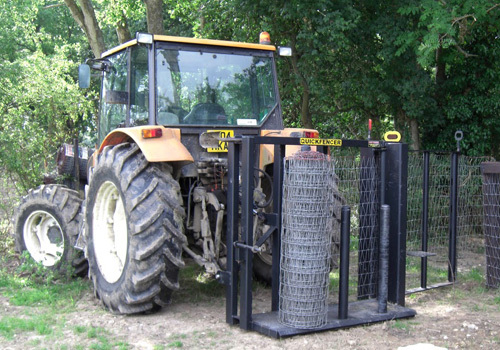 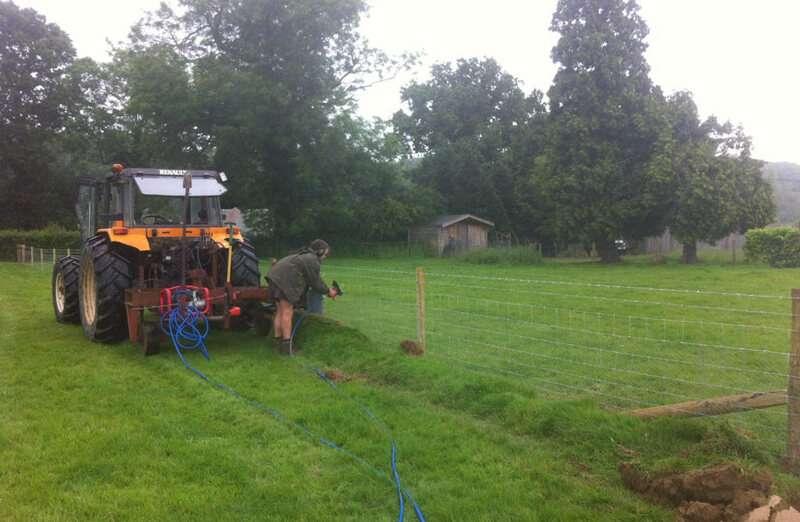 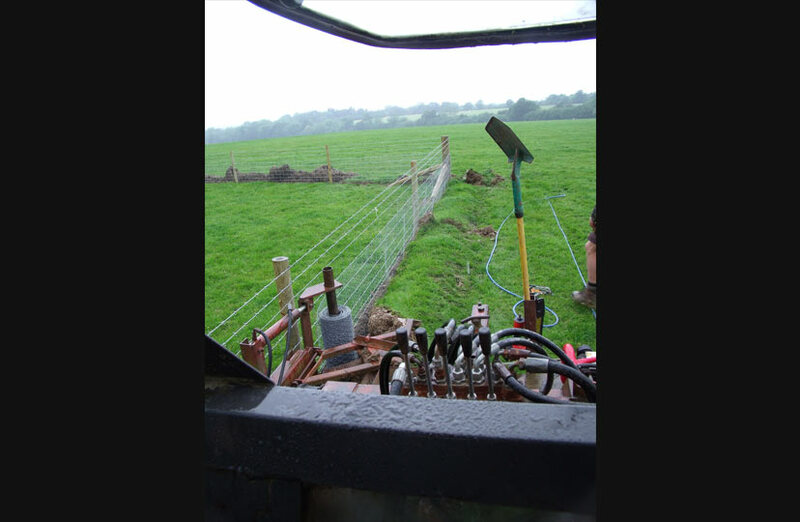 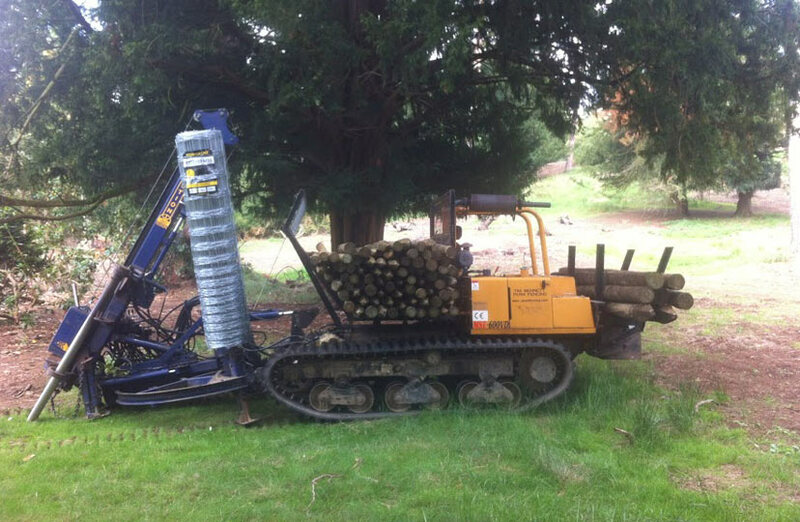 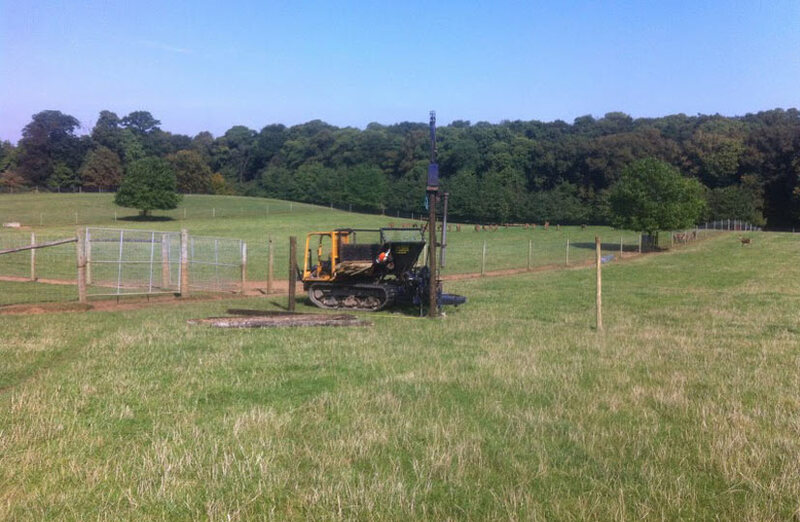 For the past 20 years we have used specialised machinery to trench the netting quickly and efficiently providing effective results at competitive rates. 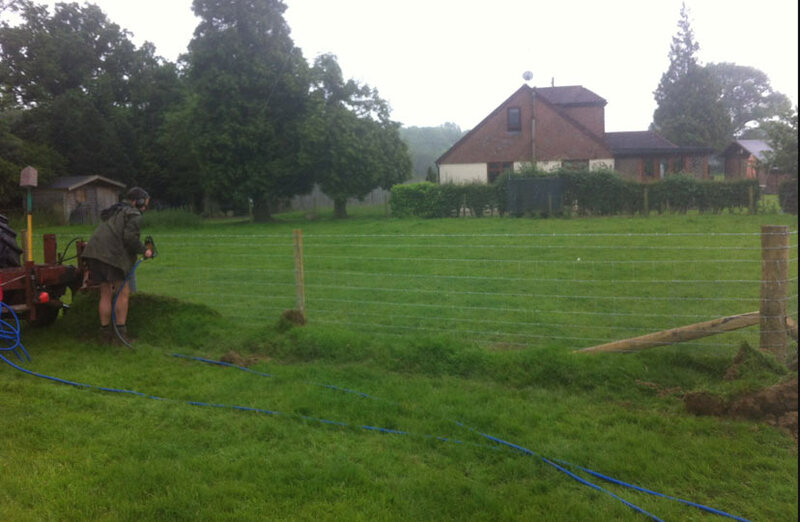 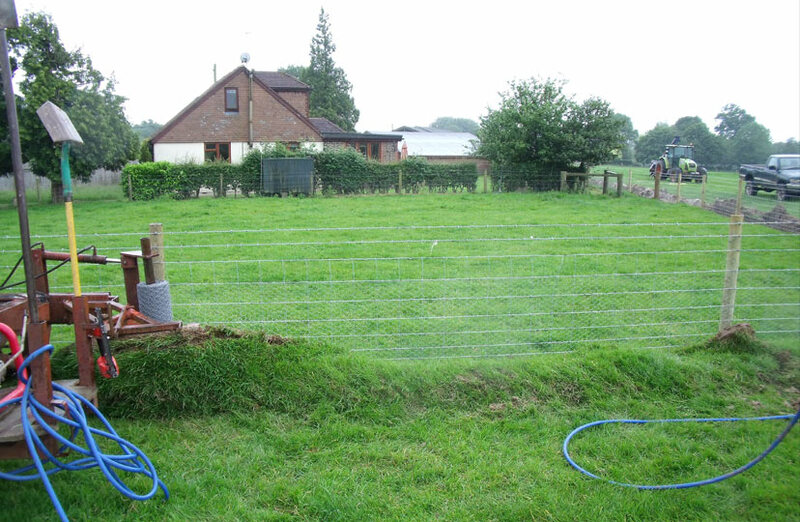 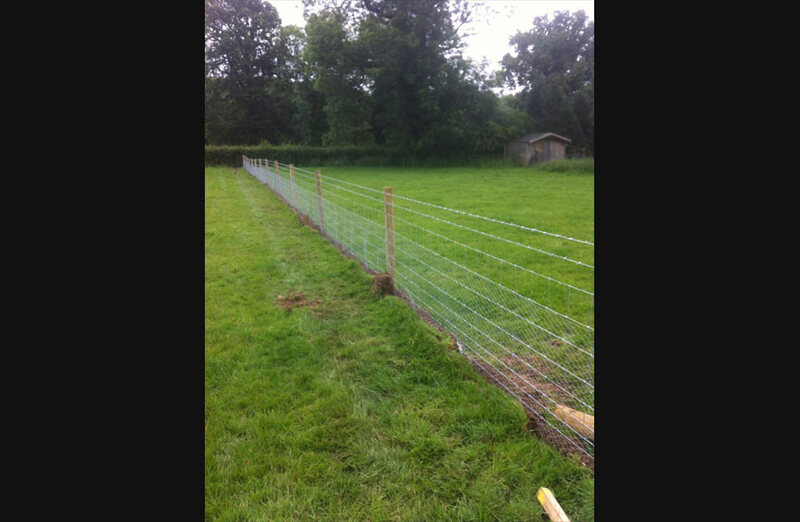 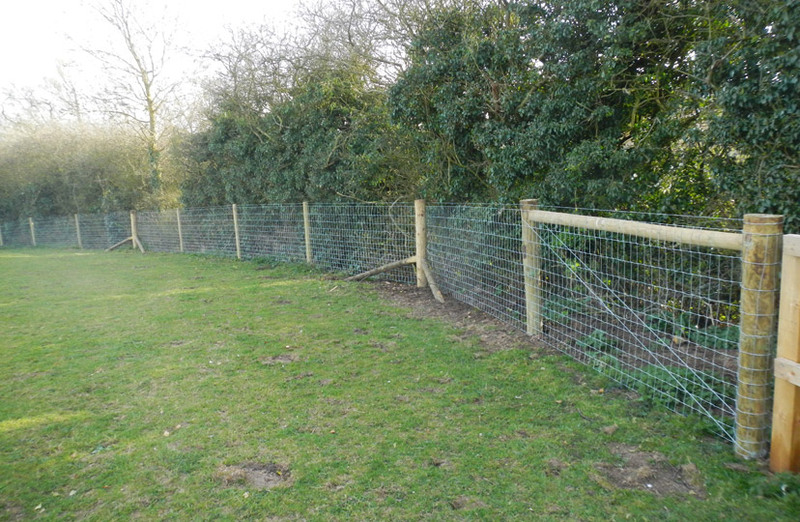 Rabbit netting can be fitted to new or existing fencing. 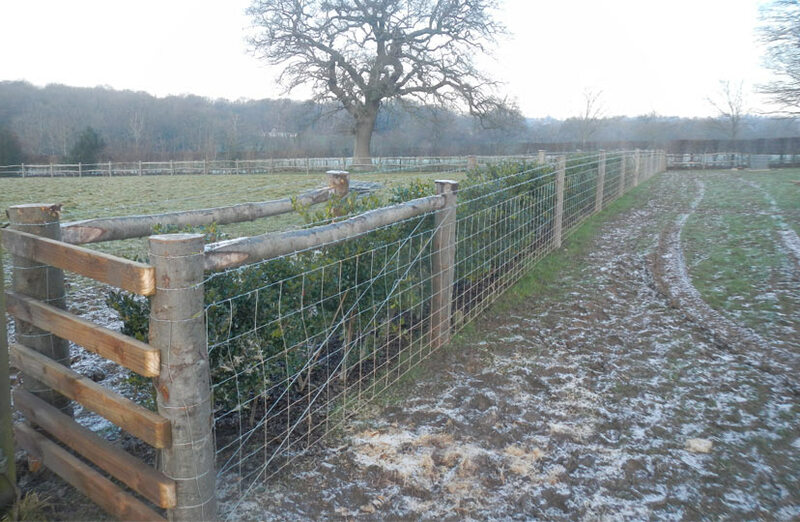 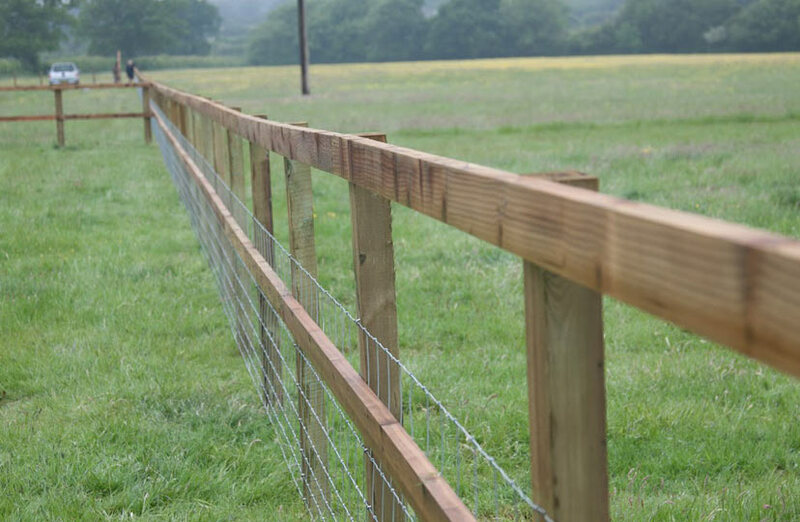 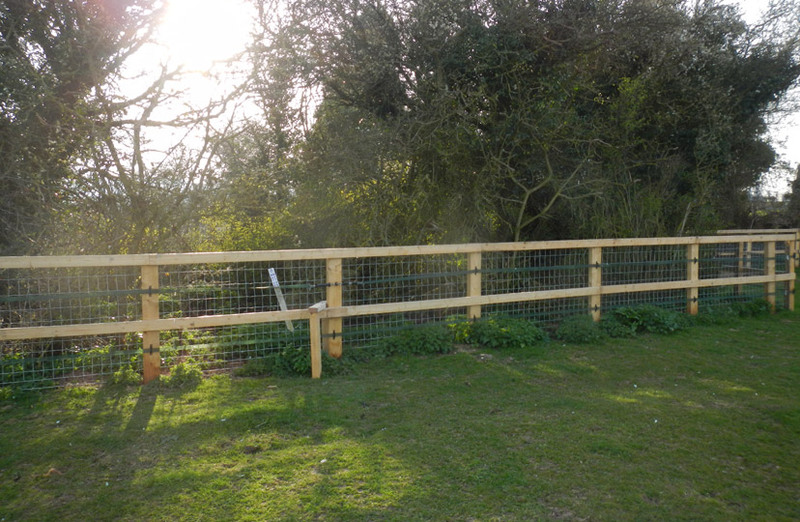 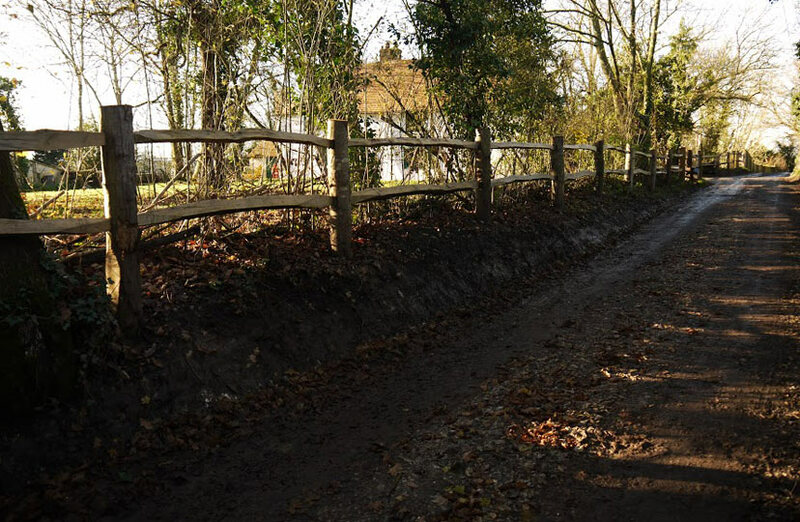 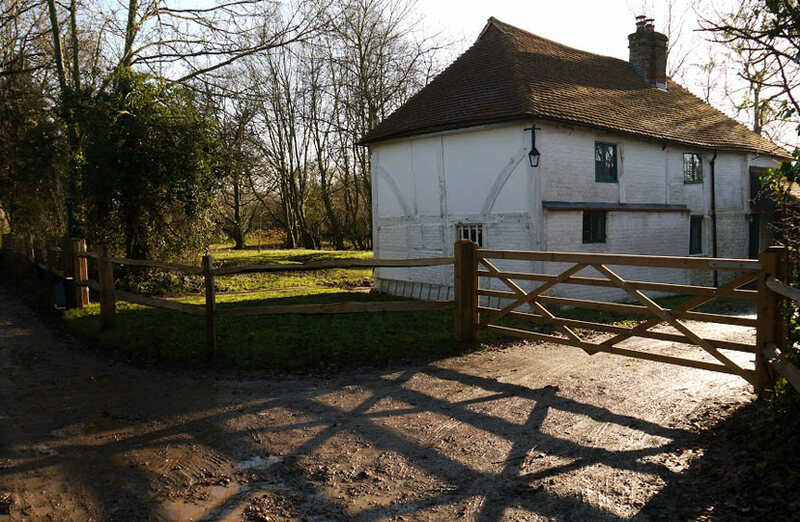 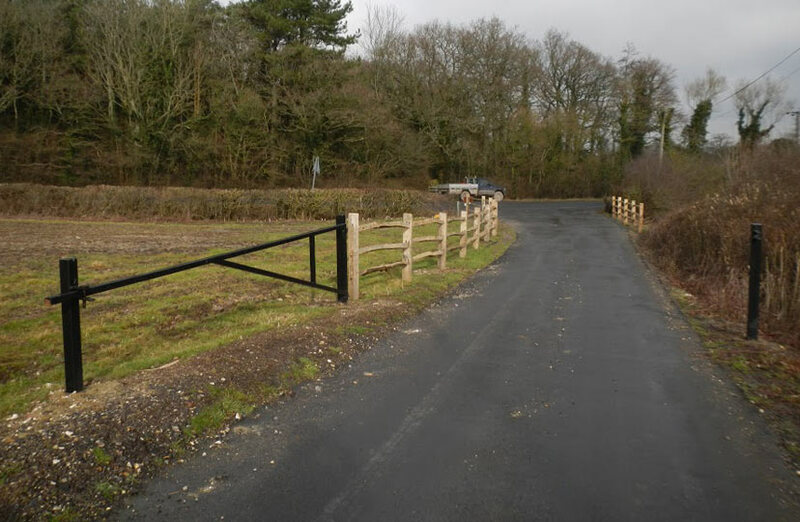 We understand that horse owners require their fences to be secure and safe so as well as our ever popular post and rail fencing, we offer a range of equine fencing to meet all specifications and needs. 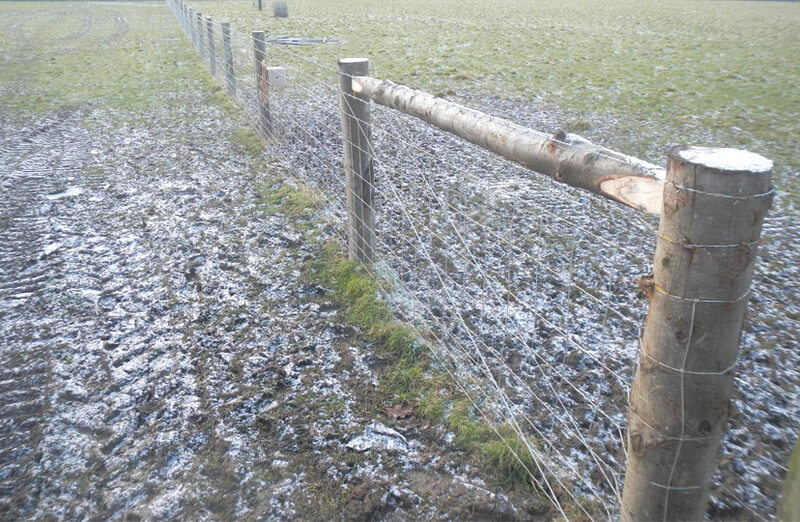 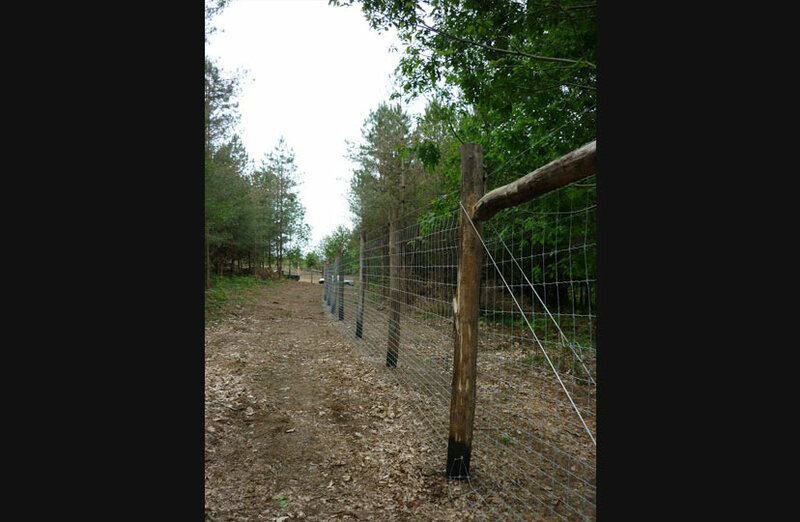 Permanent electric fencing is a cost effective way of containing animals. 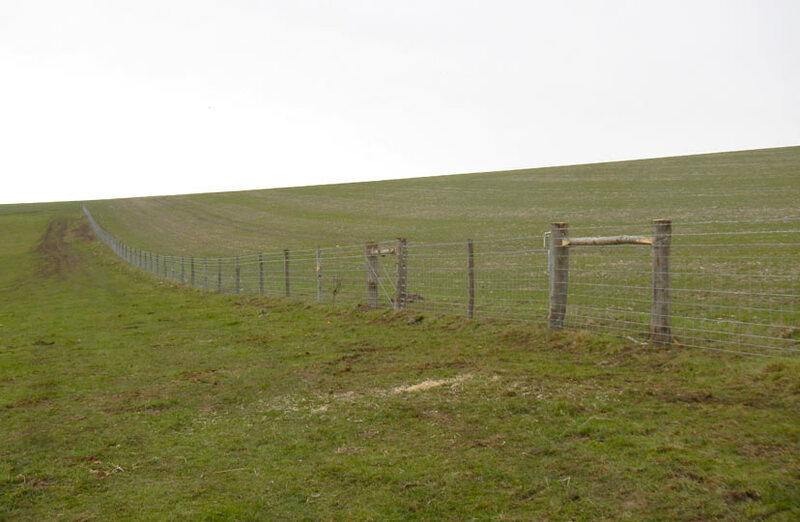 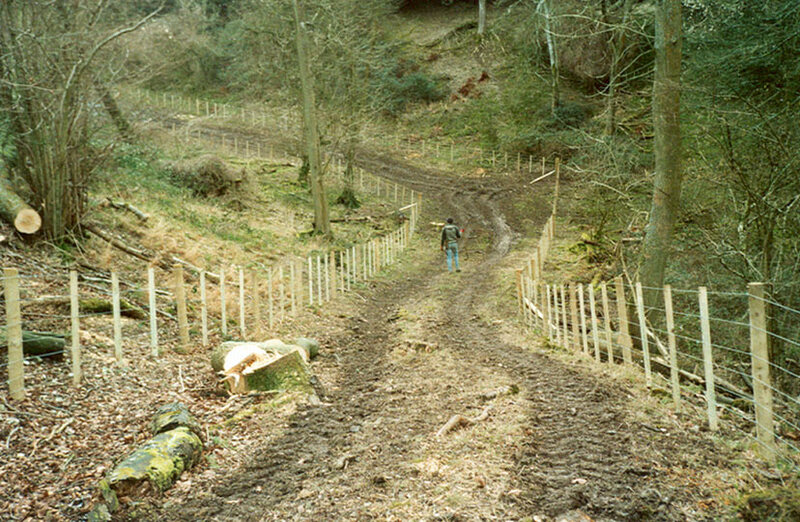 It is often used on sites where aesthetics are of high priority, for example on AONB and SSSI sites, due to its low visual impact. 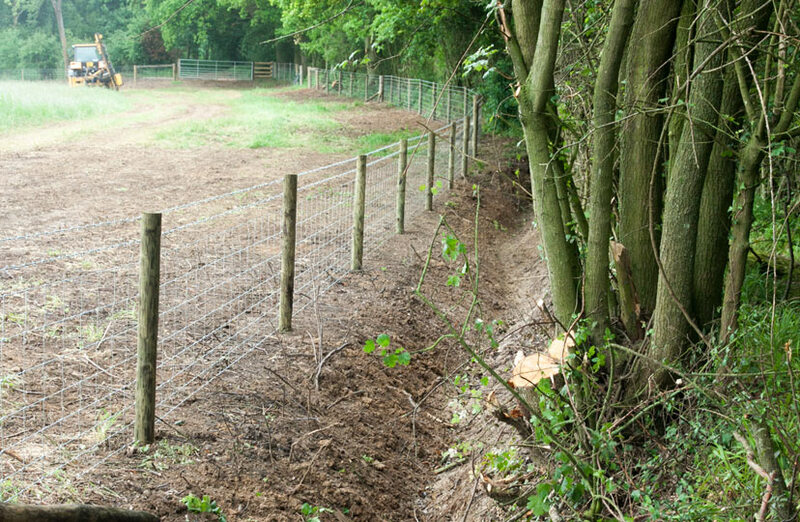 Single electric strands or hot wires can be added to stock or rail fences to prevent animals from leaning on or damaging the fences. 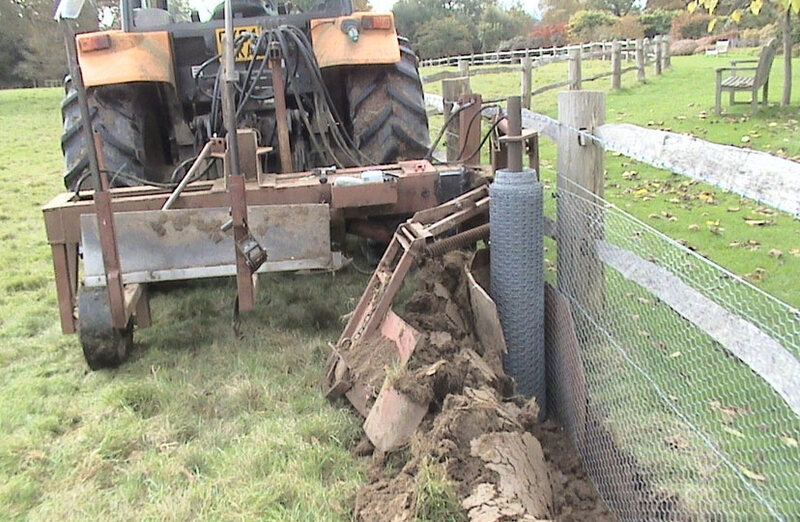 This can add greater longevity to the fences working life, in comparison with barbed and plain wire. 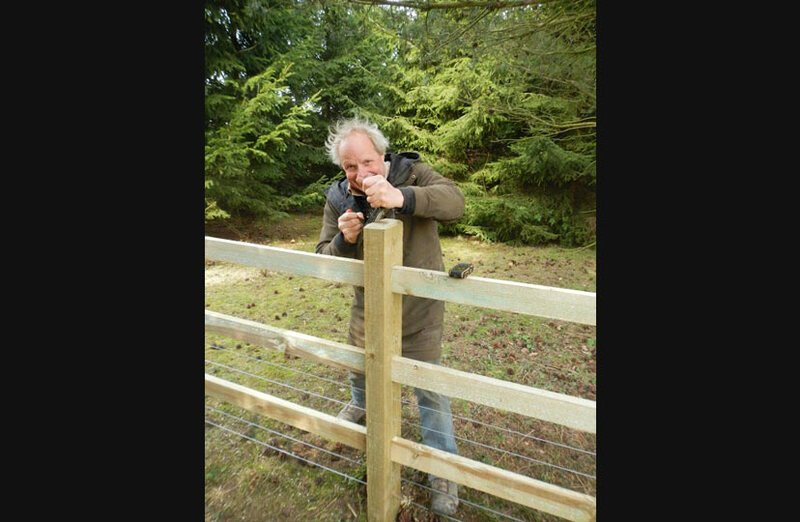 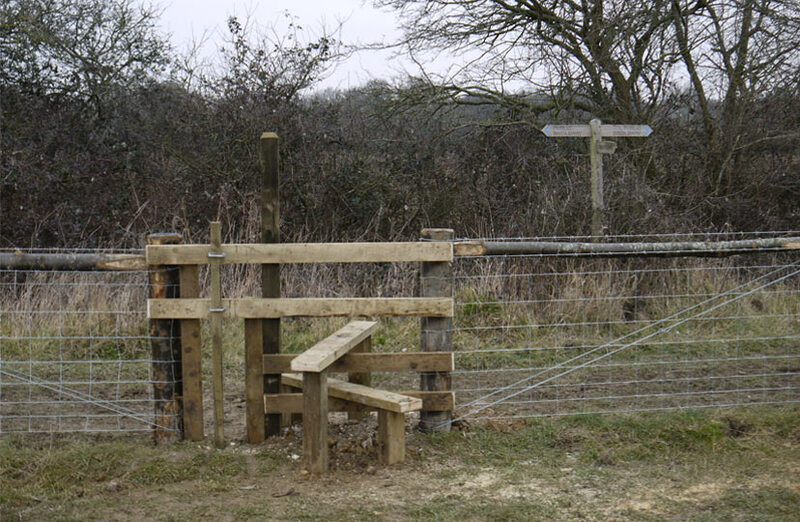 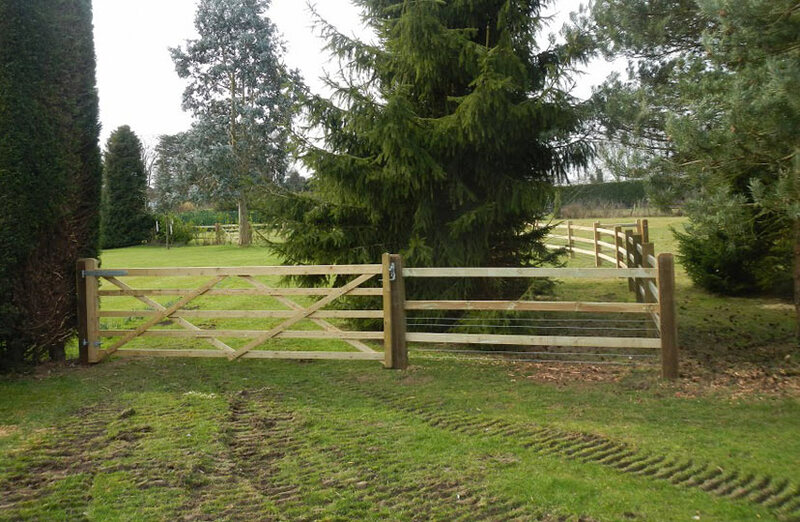 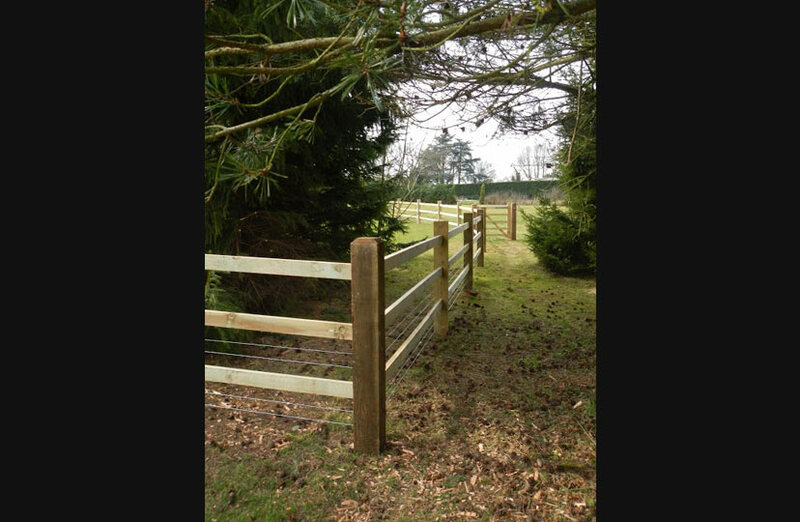 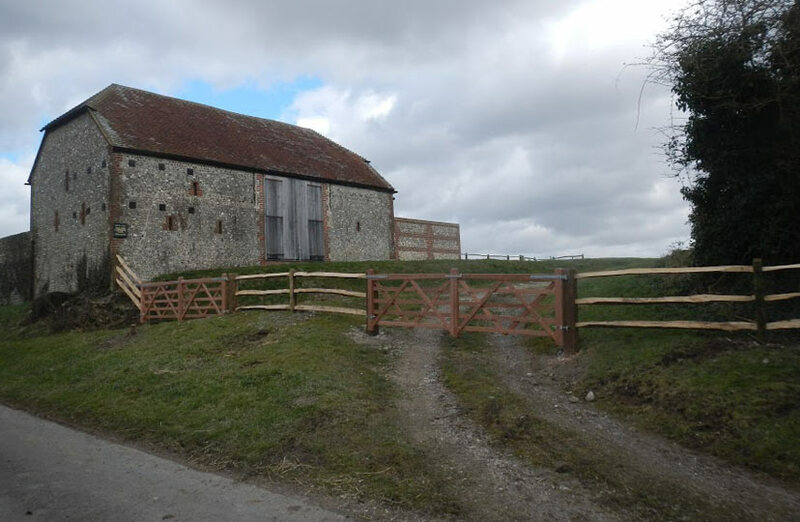 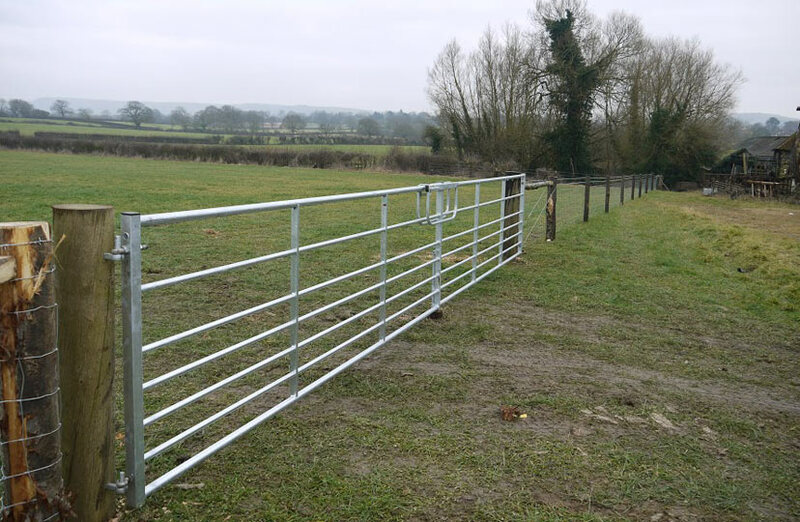 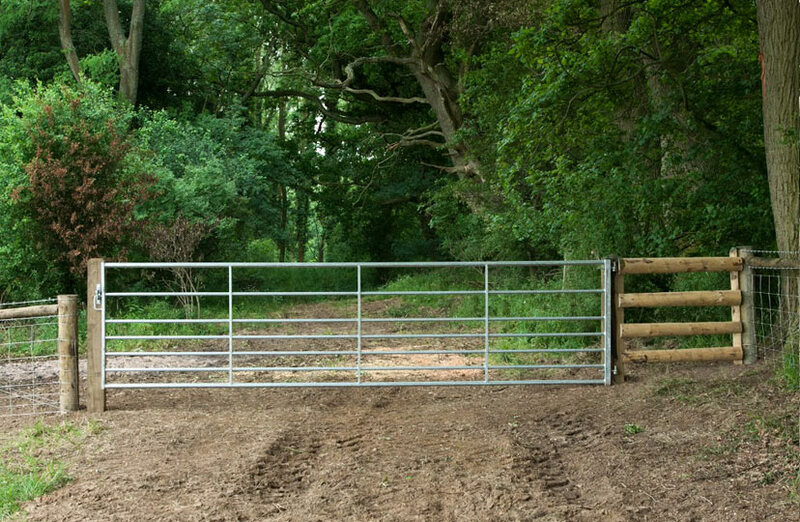 We can supply and fit any gate, wooden or steel, to match your fencing and livestock requirements. 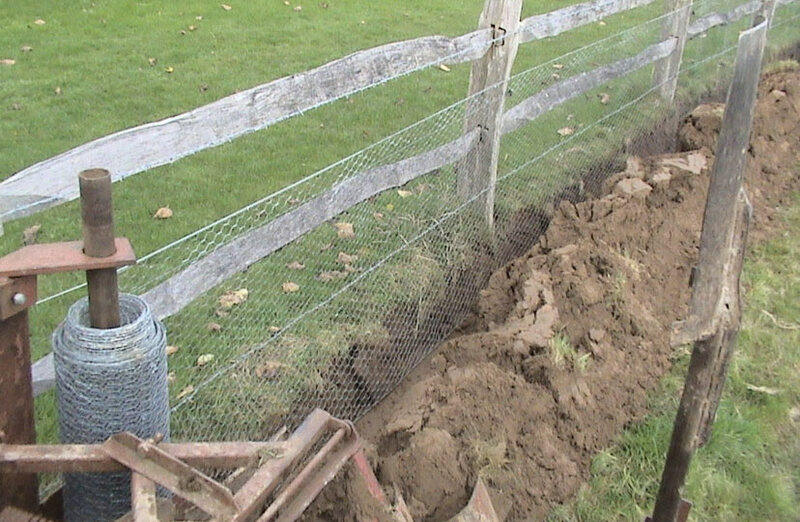 Post wire and batten is a stock barrier favoured in New Zealand. 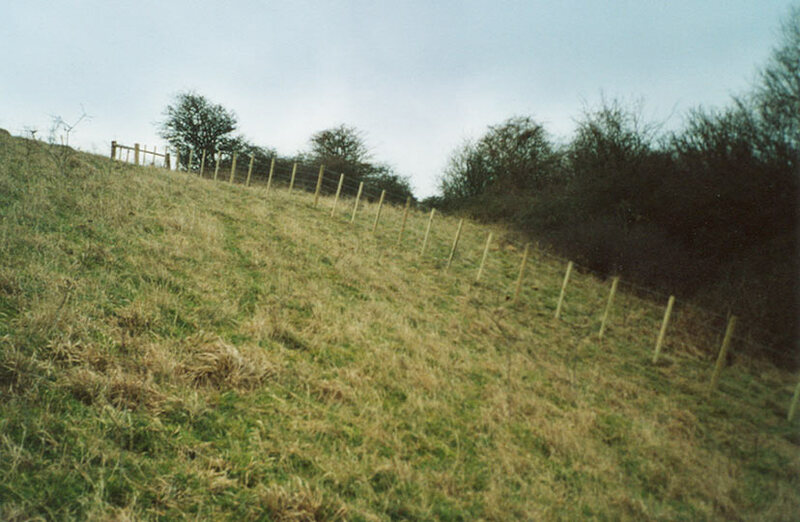 Whilst not popular in the UK it can be very effective on undulating ground, downland and hillsides. 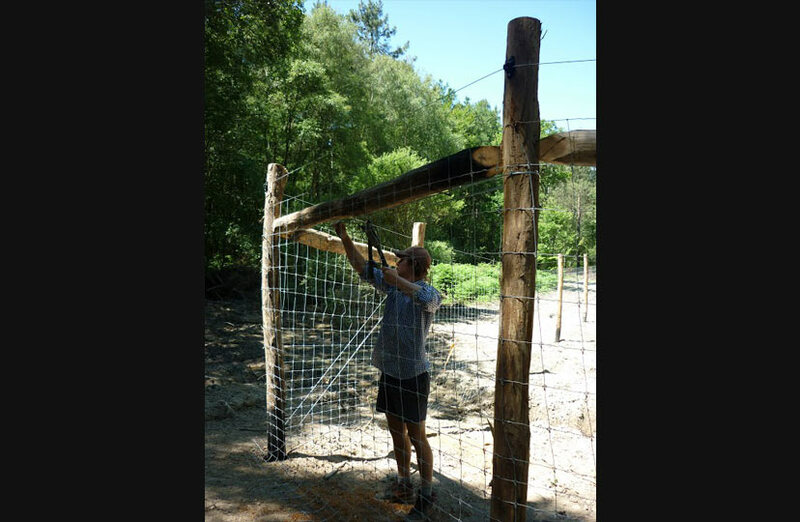 This method uses intermediate posts with 8 strands of wire and battens hard stapled in between each post preventing the wires from being pulled apart. 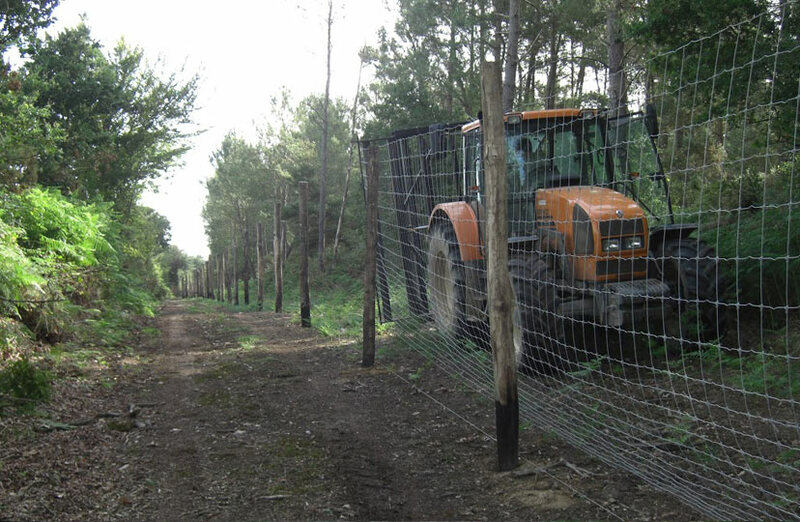 We have completed a number of different contracts in Europe mainly Italy, France and Latvia. 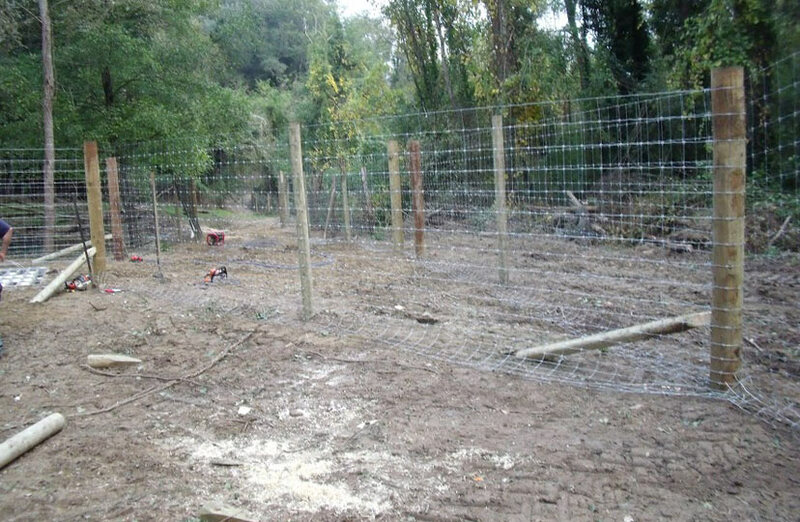 We provided consultancy and, training in machinery operation and fencing techniques as well as providing a labour force on large scale projects.